PROFESSOR AKIRA MATSUI—A truly International, Environmental and Public Archaeologist left us June 9th, 2015 after a struggle with cancer. 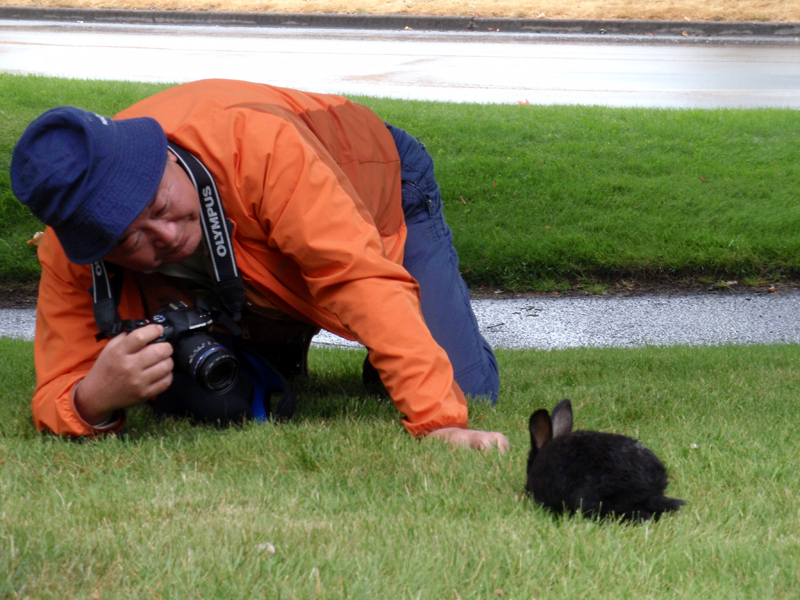 By Dale Croes, Ph.D., fellow NewsWARP North American Coordinator and friend, Olympia, Washington, U.S.A. 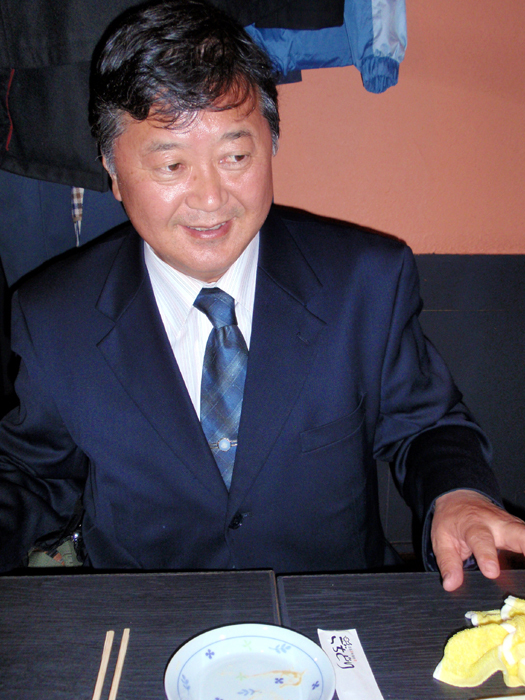 In 2011 Akira was awarded the Hamada Seiryou Prize, an award given to the outstanding scholars in the field of archaeology. 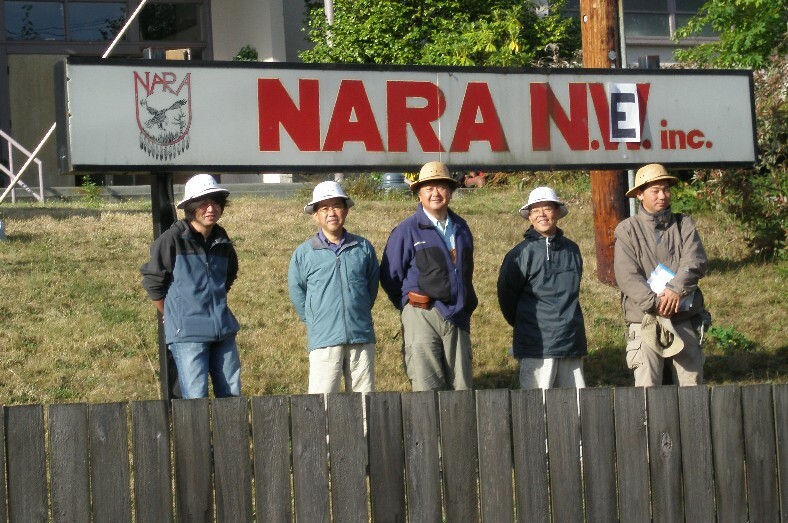 He retired from his last position as the Director of the Center for Archaeological Operations at the Nara Cultural Properties Research Center, Nara, Japan in June 2013 where he served for over 30 years. Akira started his archaeological career at Tohoku University, where he took a year’s leave of absence and went to the University of Nebraska in Lincoln, Nebraska, U.S.A. He became interested in the Native American movement in the U.S. and spent some time visiting activist American Indian Movement (AIM) locations. He got his M.A. in 1980 and entered a Ph.D. program that year too. His ongoing archaeological specialty was zooarchaeology where he did pioneering research and published many reports about faunal remains from Jomon periods through historical sites. This extensive work culminated in the publication of the primary book on Japanese archaeological fauna: Fundamentals of Zooarchaeology in Japan (2008), written in both Japanese and English, with hardback and paperback versions. Thanks for passing on the sad news – Akira was always so generous with his time and knowledge, in many different areas, and a kind man. Sorry about my late reply, but I was on fieldwork with no internet access at all for the past ten days, and only today have I had the chance to check my email and read about Akira. It is a particularly sad moment…Akira was a brilliant colleague and, although I have never had the pleasure to meet him in person, he was always available if I needed help. I’m sure Aidan can confirm that we were both very honored when he accepted to contribute to the Oxford Handbook of Wetland Archaeology – his work has been very much appreciated by all the wetland archaeology community, and various other disciplines alike. Rika, please give my most sincere condolences to his family, reminding them that his work will never be forgotten, and indeed his legacy will perpetuate for many years to come! I write to echo the thoughts of others at the very sad loss of Akira at such an early age. He was an inspiration to us all in demonstrating what could be achieved through a really ambitious programme of wetland research. I had the pleasure of meeting him and his students several times at conferences most recently at the World Archaeological congress in Dublin and also meeting him in Olympia which lead to his important collaborations with Dale. He was always so willing to talk and advise on wetland archaeology. 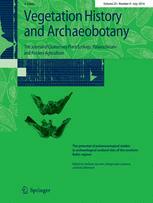 I have also found some of his recent work on the use of plant resources and Jomon environmental manipulation very inspirational. I am sorry not to have been able to show him the archaeology of the Severn Estuary but his work and example was important in showing us that despite challenging conditions these things are worth doing. As Francesco says his work and influence will last for a very long time. It was a pleasure to know and learn from him. I too would echo the comments about our appreciation of what Akira was able to accomplish. His inspiring work in Japan still amazes many and will be significant for years to come. For many of us, he was also a warm and friendly welcoming presence on visits to Japan. He was a great ‘tour guide’ and always made us feel at home and showed us a Japan that regular tourists would never have seen. I spent many happy hours on the road with Akira both in Japan and in Florida and had a wonderful dinner with Akira, his wife and, of course, ‘Harold.’ He was a special person and will be missed but his contribution and his remarkable work will live on. When I think of Akira, I cannot help but smile, he left an indelible mark on our family. Glen Doran, Professor Emeritus, Florida State Univerity, Florida, U.S.A.
Can I echo everyone’s sadness and sympathy at the death of Akira and our sympathy to his family and all his friends. For all those who will be there it is clearly appropriate that we say a few words at the INQUA wetland and lake session – which we should dedicate to him due to his pioneering work and in recognition of his contributions, and his friendship. Just a short message to say hello from all your colleagues and friends in Ireland, we heard that you weren’t well and in hospital. We all remember very well your time here with us in the World Archaeology Congress (WAC-6) in Dublin, and I know that if Barry Raftery was still with us, he would send his best regards. He admired and liked you and enjoyed his trip to Japan, I know! It’s still Spring really here in Ireland, so we have rain and sunny days too, it’s what makes Ireland such a good country for wetland archaeology! We are all busy grading exams and getting ready for our summer’s digging, writing and even experimental archaeology projects, which we have started here in UCD. Anyway, best wishes from us all here in Dublin, and look after yourself. Akira was very helpful and willing with INQUA Humans and Biosphere matters as part of our Advisory Board. I remember him speaking at the first WARP meeting (and first conference!) I ever attended (back in Exeter, many years ago) and he made a lasting impression. Thank you for sharing the sad news with your friends and colleagues. I am still in deep sorrow but your heartfelt sympathy is a big help for us. I believe Akira would be happy to know a long-lasting bond of friendship between your country and Japan through archaeology. It was my privilege to have worked with Akira, and happy to share your message with his family. 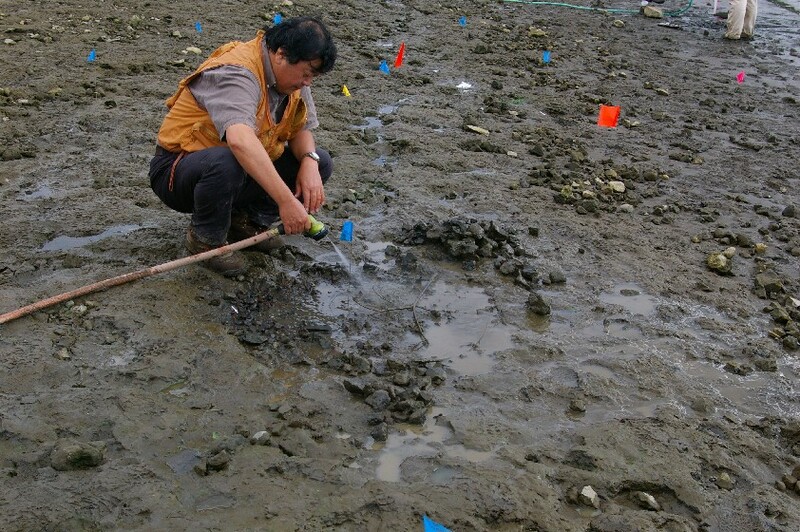 Of note, in the 1980s Akira expanded his research interests as a principle researcher at the huge wet site excavations of Awazu Kotei site, at the bottom of Lake Biwa, the largest Japanese wet site. 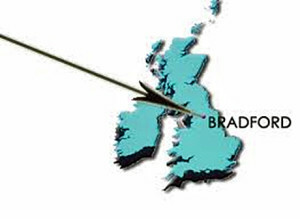 He presented this massive excavation and other Japanese wet sites in 1991 at the Wetland Archaeological Research Project (WARP) Conference, University of Exeter, Exeter, England. 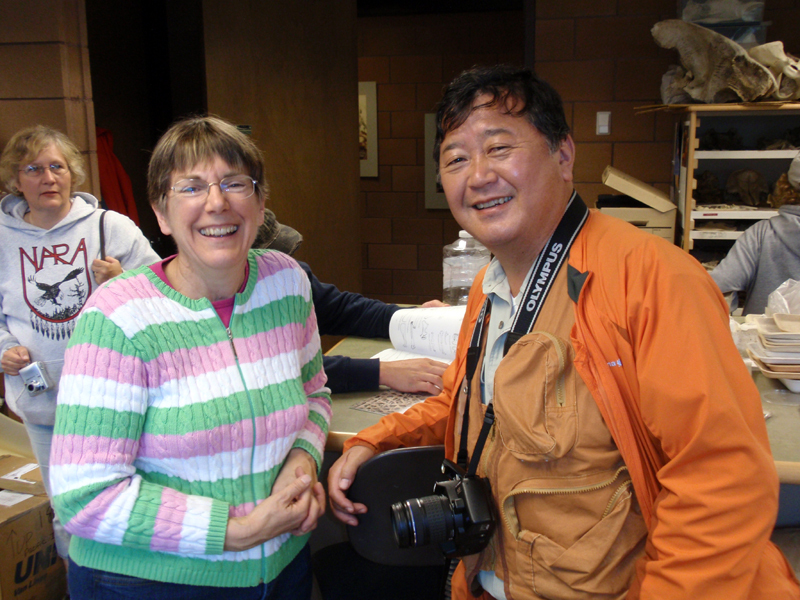 I got to meet Akira for the first time and I suggested we try to develop some exchanges in wetland archaeology between Japan and the Northwest Coast of North America. We had just met, and I was not involved in any ongoing wet site projects at the time, so certainly in the dream stage at that time—at least we could brainstorm. We meet at future WARP conferences including one in 1996 in Denmark where he gave a paper on “Wetland Archaeology in Japan,” published in the resulting volume Bog Bodies, Sacred Sites and Wetland Archaeology (1999:147-156) and edited by Bryony Coles, John Coles and Mogens Schou Jorgensen, University of Exeter WARP Occasional Papers 12. In 1999 Akira started the exchanges by inviting a small group of wet site archaeologists and faunal specialist to a conference at the Nara Research Center, and then we toured wet sites in Japan, including along the western areas along the Sea of Japan–I got to take my new bride, Mary, and we had our first honeymoon. At this time I kept Akira informed of an ongoing wet site summer field school I initiated with the Squaxin Island Tribe at a site near Olympia, Washington, U.S.A. named Qwu?gwes, an indigenous Indian name meaning A place to work together and encouraged him to join us in the fieldwork. We had the 10th WARP conference in Olympia in 2003 and Akira brought many Japanese colleagues to present papers. Unfortunately when it was time for Akira’s paper, he had slept-in at his hotel and we had to send people to get him (fortunately the hotel was just across the street!). 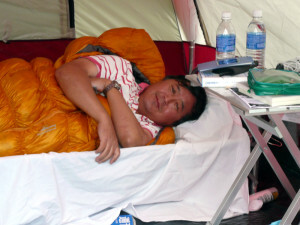 At the banquet, Akira was presented the WARP award for Sleeping through his Own Paper(! ), which he accepted with considerable humor (see attached photograph). 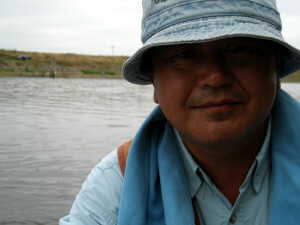 In 2005 Akira published The Invitation of Environmental Archaeology which became one of the best-selling paperback book of the month and year—his masterwork. This book made him well-known and brought his innovative ideas to a wide audience. After its publication, he was asked to write many articles and columns and to be a keynote speaker around the world. 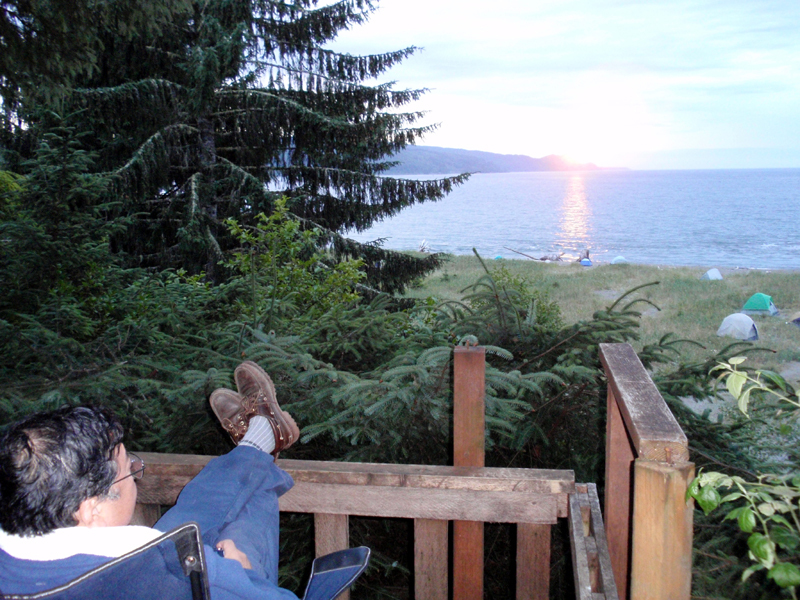 I e-mailed Akira in 2006 after we made an assessment of the National Historic Landmark wet site of Sunken Village in Portland, Oregon, U.S.A.; I sent some pictures of ancient and numerous large acorn leaching pits, lined with hemlock branches, found along the beach. He was very excited, since acorns are of great importance to Jomon subsistence practices and he had been overseeing the excavation of a 7000 year old wet site, Higashimyou, which had large pits lined with baskets containing acorns (see Akira’s update on this site in NewsWARP: Higashimyo Wet Site, Japan, Update and News ). He even offered to help sponsor a more extensive assessment and mapping of the Sunken Village site in 2007. We planned together and he came over with his colleagues and we camped at NARA (not his home town in Japan but a Native American Rehabilitation Association (NARA) facility). The local Tribes arranged for us to camp in their baseball field; and we eat 3 hot meals a day at this facility while mapping and excavating the tops of over 100 acorn pits. 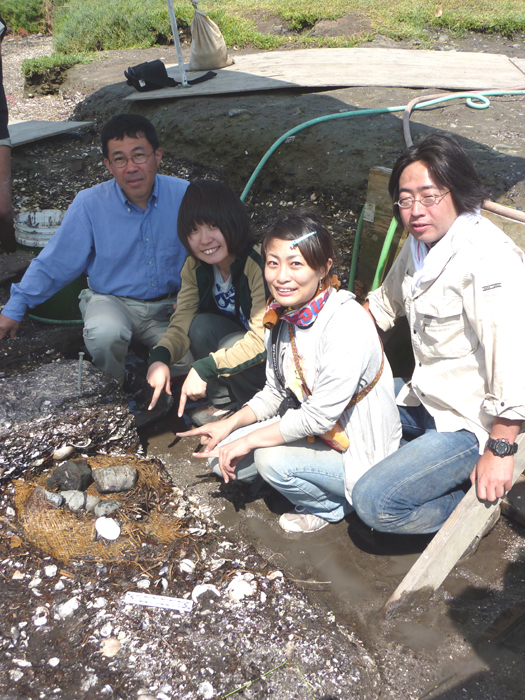 (Left) Dale Croes, upper center, with crew brought to Sunken Village by Akira Matsui, lower center: upper left: Dr. Atsushi Iwasaki, upper right: Dr. Naoto Yamamoto; Lower left: Dr. Toru Miyao, lower right: Dr. Tomonori Kanno; (Right) Akira Matsui excavates an acorn pit with fine adjust nozzle. 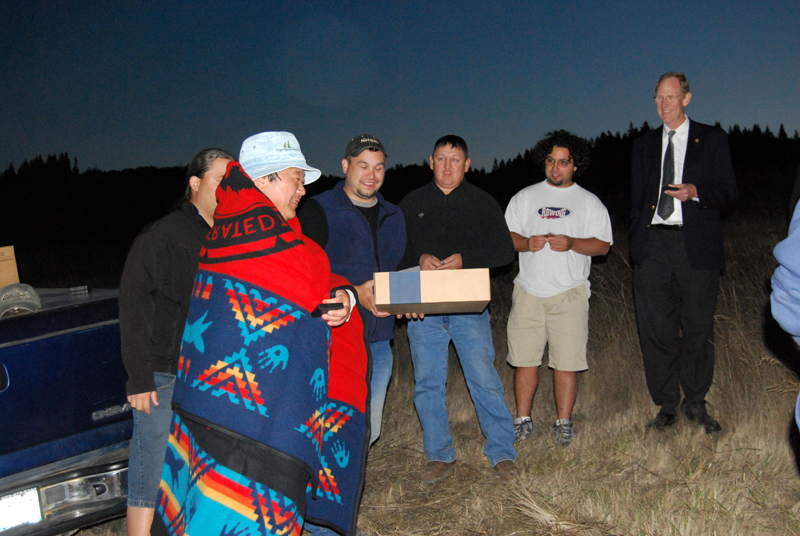 (Left) Akira enjoys tent camping in NARA baseball field; (Right) The Grand Ronde Tribe of Indians gifted a Pendleton wool blanket to Akira to thank him for sponsoring the Sunken Village wet site excavation–my college president in suit. 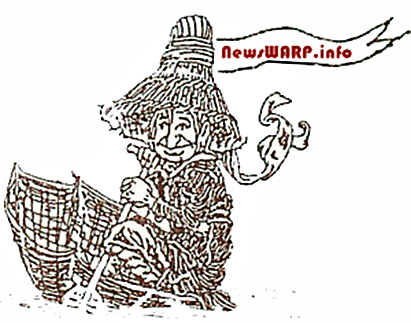 (Left) Akira in boat off Sunken Village; (Right) Akira’s crew under NARA (Native American Rehabilitation Association) sign with NW changed to NE to distinguish it from Nara Japan! We published the entire site report, introduced by sponsor Akira Matsui and Native American sponsors from the Siletz, Grand Ronde and Warm Springs Tribes, in the Journal of Wetland Archaeology, Oxbow Books, Oxford, England as a Special Edition Volume 9 (2009). We did exchanges almost every year after our success at Sunken Village. 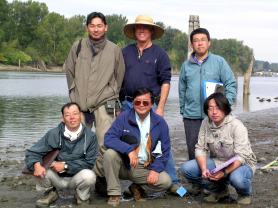 The following year, 2008, Akira brought his colleagues and students to excavate at the Qwu?gwes wet site in Olympia, Washington, U.S.A. Together we excavated some ancient clam baskets that year. 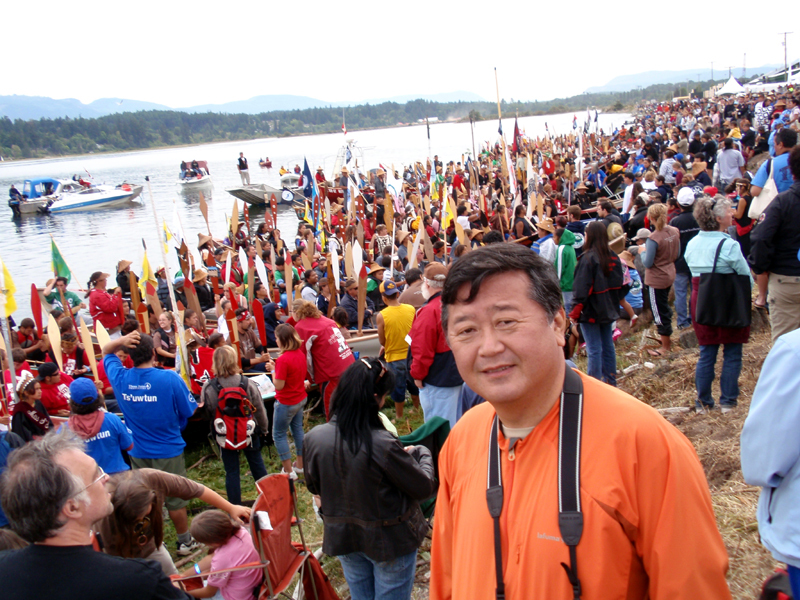 Then we went to the annual Tribal Canoe Journey held in Duncan, B.C. Canada with the Squaxin Island Tribe. 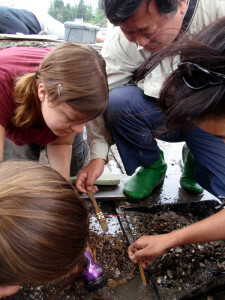 (Left) Akira watches students excavating Qwu?gwes basketry in 2008; Visiting Qwu?gwes Fauna Analyst Rebecca Wigen at her University of Victoria laboratory on our way to Duncan B.C. Paddle. (Left) Akira enjoys photographing tame rabbits on University of Victoria, B.C. 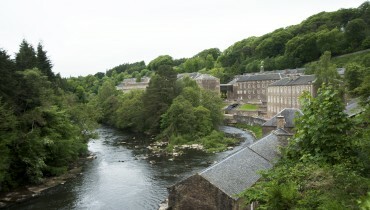 campus; (Right) Over 100 canoes come into Duncan B.C. during the annual canoe journey along the Northwest Coast of North America. 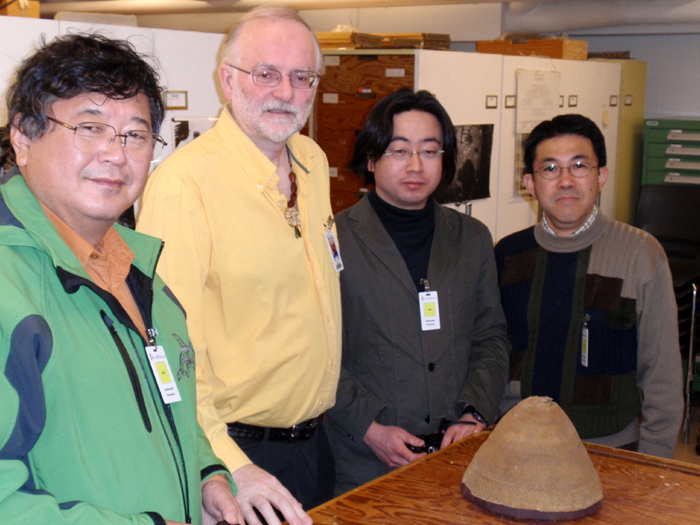 In late February of 2009 Akira, Dr. Naoto Motoyama and Dr. Tomonori Kanno came to visit archaeological collections in museums at the University of Washington, the Royal British Columbia Museum, Victoria, B.C. and Simon Fraser University, B.C., Canada. 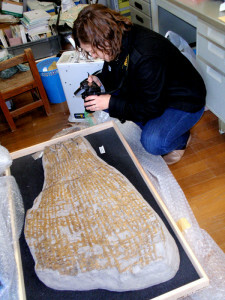 We did a whirlwide visit so they could become familiar with the collections from the Northwest Coast of North America. 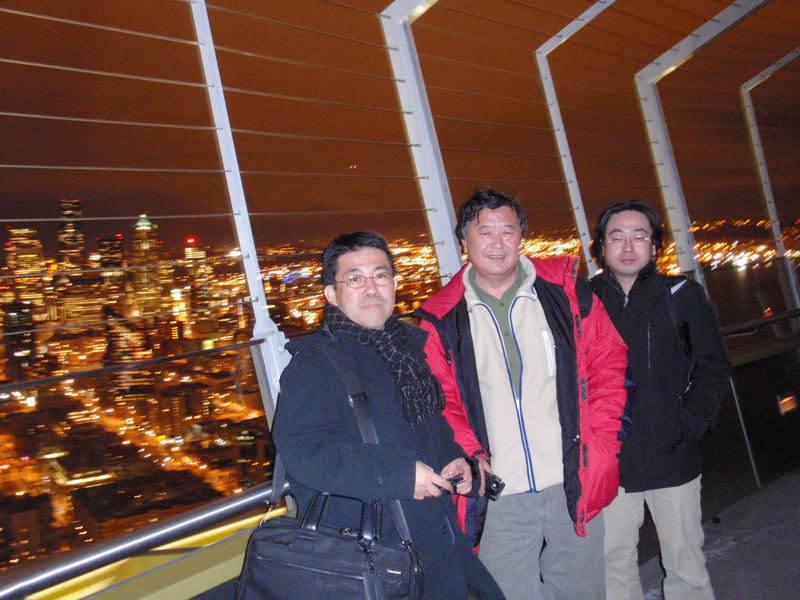 (Left) Naoto Yamamoto, Akira Matsui and Tomonori Kanno enjoy Seattle Wa. 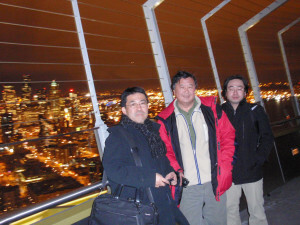 U.S.A. Space Needle on February 2009 visit; (Right) Akira, Tomonori and Naoto are shown the collection at the Royal British Columbia Museum, Victoria, B.C. Canada by curator Grant Keddie. 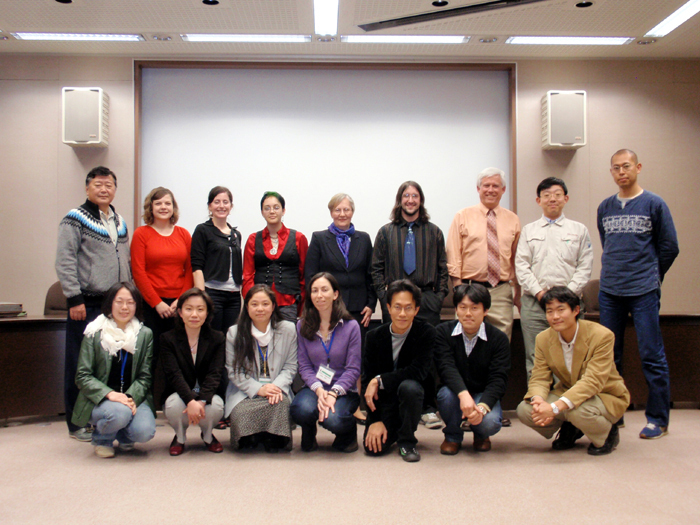 Just following their visit, in late March of 2009, Akira Matsui and Naoto Yamamoto hosted our college Anthropology Club students to come to Japan to see their large numbers of wet sites in central and southern Japan via their amazing bullet trains. We got to visit the famous 7000 year old Higashimyou wet site and see the many acorn storage baskets on the southern island of Kyushu. Akira had just gotten promoted to his position as Director of the Center for Archaeological Operations at the Nara Cultural Properties Research Center, Nara, Japan, and needed to be very formal in dress. (Left) Olivia Ness, Qwu?gwes basketry specialist, photographs 7000 year old Higashimyou wet site baskets in Kyushu; (Right) Qwu?wes and Nara Researchers celebrate following our trip concluding conference. 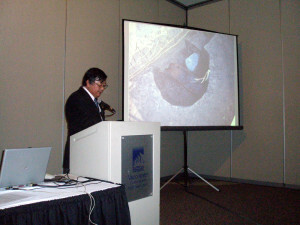 (Left) Akira’s new formal dress as Director of the Center for Archaeological Operations in Nara; (Right) Akira’s presentation during our SAA symposium in Vancouver, B.C. 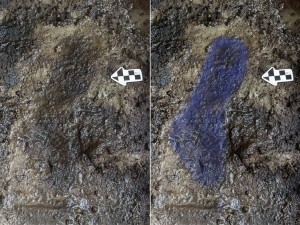 Canada, showing a Higashimyou wet site acorn pit. 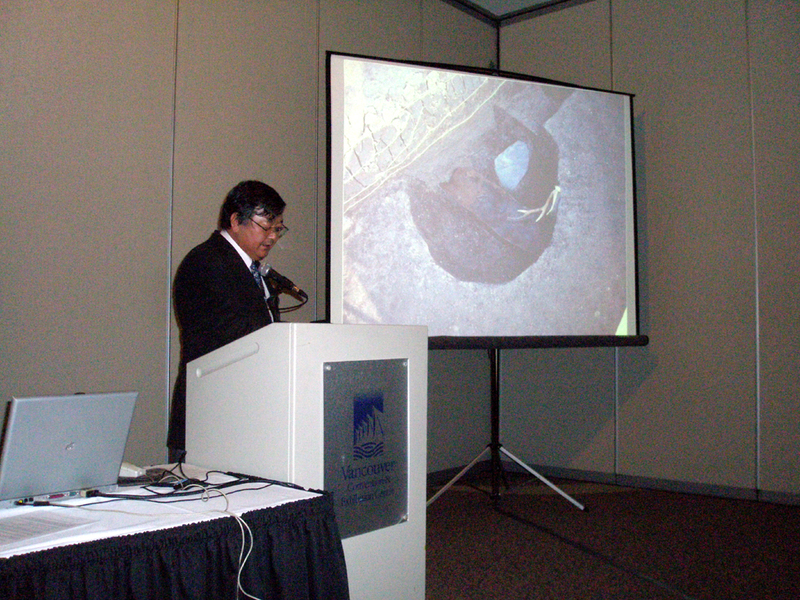 Directly following these great exchanges, Akira and I co-sponsored a 2009 Society for American Archaeology (SAA) symposium in Vancouver B.C., Canada where Japanese, U.S.A. and Canadian archaeologists discussed our Pacific Neighborhood Archaeology. This was one of the first SAA symposiums proposed and conducted by Japanese archaeologists. 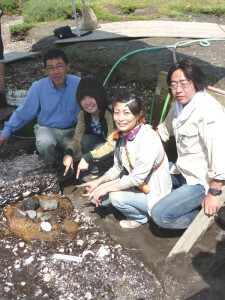 Akira presented the amazing work at the 7000 year old Higashimyou wet site (see photo of his presentation above right). In the summer of 2009 and 2010, Akira became very busy with his new position as Director, but still sponsored Drs. Naoto Yamamoto and Tomonori Kanno and his students to come to Qwu?gwes and annual Native Paddles to Suquamish and Makah. (Left) Dr. Yamamoto, left, and Dr. Kanno, right with students excavation large basket in 2009 at Qwu?gwes; (Right) Dr. Naoto Yamamoto is wrapped in Paddle to Makah Pendleton wool blanket in thanks for his friendship nd support with his students in 2010. 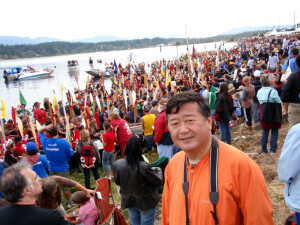 In 2012 Akira, Naoto and Tomonori came to Olympia, Washington U.S.A. to participate in the Paddle to Squaxin Island Tribe for their week-long potlatching celebration on their reservation. Mid-way through the program, they rented a car and drove themselves out to Hoko River where I have a cabin since Akira wanted to hike to the famous Ozette Village wet site; he wanted to explore for any signs of a tsunami 300 years ago that would have triggered the mudslide that covered the village. The date of the massive earthquake and tsunami would be 1700, the event that created an “orphan” Tsunami (with no earthquake) that came across the Pacific and caused major damage in Japan. Since he was a principle member of the “Bunkazai” Cultural Properties Rescue team, after the devastating Great East Japan Earthquake (3/11/2011; see Akira’s report, with visuals, to NewsWARP: Akira Matsui provides first hand update on Japan Tsunami Heritage Site Disaster…. ), he was especially familiar with how destructive these events can be on both sides of the Pacific. 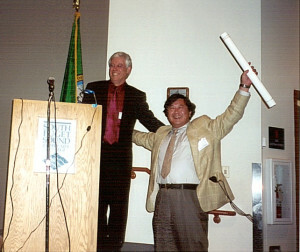 His research on Ozette was published, including a presentation in his newspaper column, helping the public to understand these ancient and modern Pacific Basin catastrophes (see his report in Japanese and English in NewsWARP Reports): The Archeology of the Jomon Period and North American Northwest Coast Prehistoric Culture–Ozette Case Study by Akira Matsui . 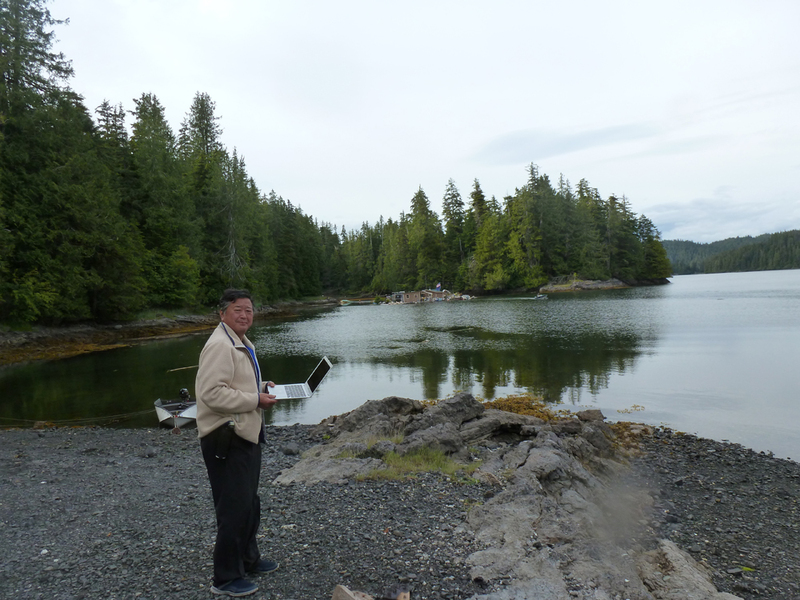 2013 was the last exchange we did summer fieldwork with Akira Matsui; we explored an ancient wet site area on Prince of Wales Island, Alaska, U.S.A. Again Drs. 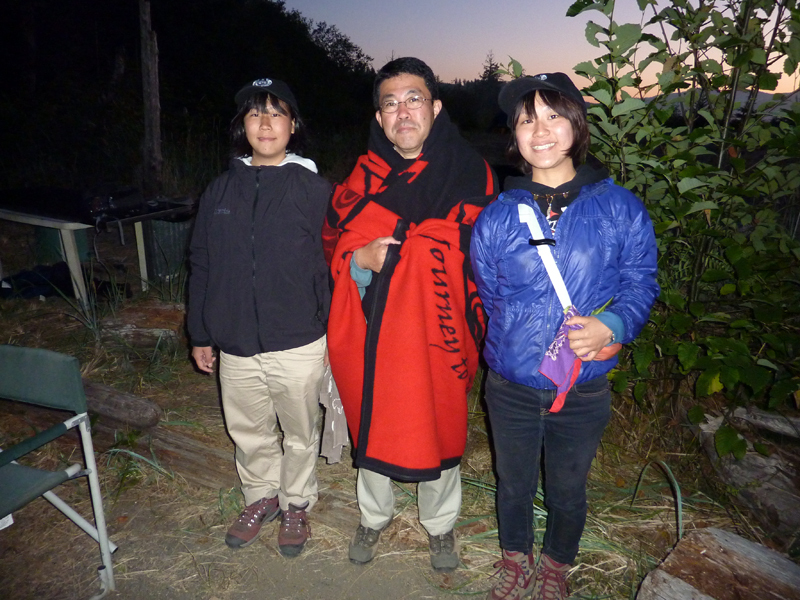 Yamamoto and Kanno joined him as we excavated in remote Alaska at a 6-7000 year old site. 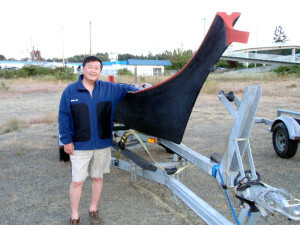 Akira was very excited when he got an e-mail at the remote Alaska site from the Crown Prince of Japan, Naruhito, whom Akira had accompanied in a recent trip to Vietnam to study and explore the archaeology demonstrating the domestication of chickens—one of Naruhito’s special interests. (Left) Akira screening on northern Prince of Wales Island, Alaska, U.S.A. with Tracey Arnold, PNWAS; (Right): Akira tries to get Wi-Fi for his e-mails from remote Alaska. 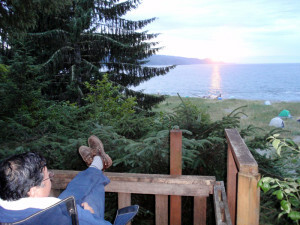 We had been planning a trip for all of us to central B.C. Canada with his international funds to work on some wet sites during the summer of 2015 when Akira found out about his cancer and needed to fight it with treatments. 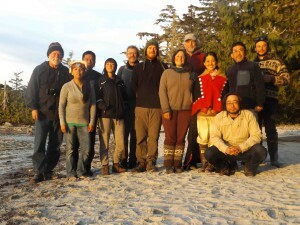 He wanted to honor the invitation by the Canadian archaeologists, Duncan McLaren and Daryl Fedje, Hakai Research Institute, so arranged for his assistant Rika Shinkai to come with Drs. Yamamoto and Kanno. Though he could not make it, we kept him informed about the work through e-mails. When Rika returned to Nara, she was able to show him the many pictures of the fieldwork at his hospital. She was joined by the sponsor of this exchange, Dr. Junko Habu, Professor, University of California, Berkeley, California, U.S.A. Akira and Dr. Habu were very happy to see how well Rika represented him on the project. 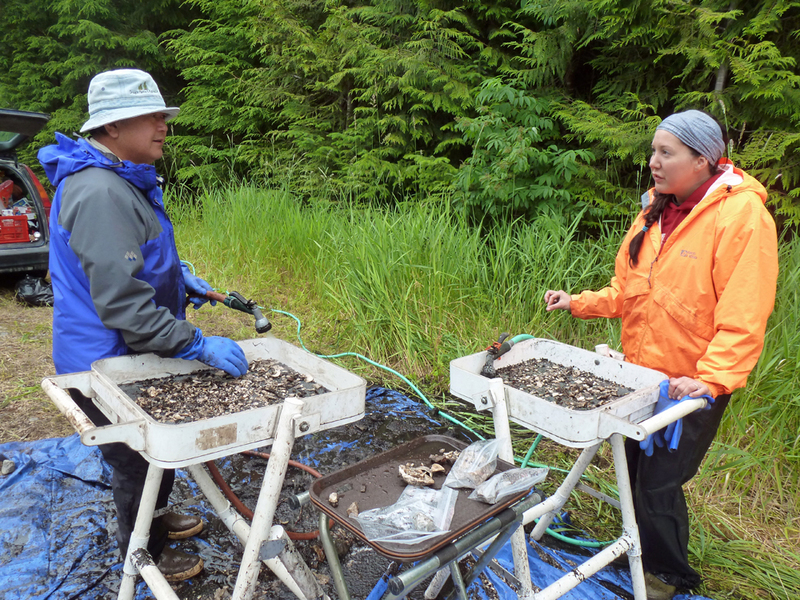 May 2015 field work exchange in Central B.C. 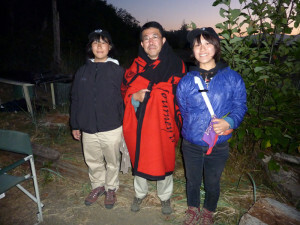 Canada with Bella Bella First Nations; Dale Croes left, Akira’s Assistant and representative, Rika Shinkai wearing Kwakiutl button blanket and with Drs. Naoto Yamamoto and Tomonori Kanno; Project Director, Dr. Duncan McLaren on right and Daryl Fedje with baseball cap. So you can see how Akira loved exploring the entire Pacific Neighborhood and beyond. He is a giant in international programs throughout the world; conducted some of the most pioneering research in the Pacific; and knew how to convey our important work to the interested public in Japan and beyond. He will be greatly missed by all. Your attention is drawn to a session on wetland settlement at EAA 2015 organised by Anne Crone, Aidan O’Sullivan, Graeme Cavers and Francesco Menotti. The aim of the session will be to explore the evidence from wetland settlements across Europe so that we can come closer to understanding the motivation behind choosing to live in these often challenging environments. More information about the session can be found at http://eaaglasgow2015.com/session/wetland-settlement-understanding-the-motivation-behind-living-out-on-the-water/. The call for papers is now open and abstracts should be submitted for consideration by 16th Feb 2015. 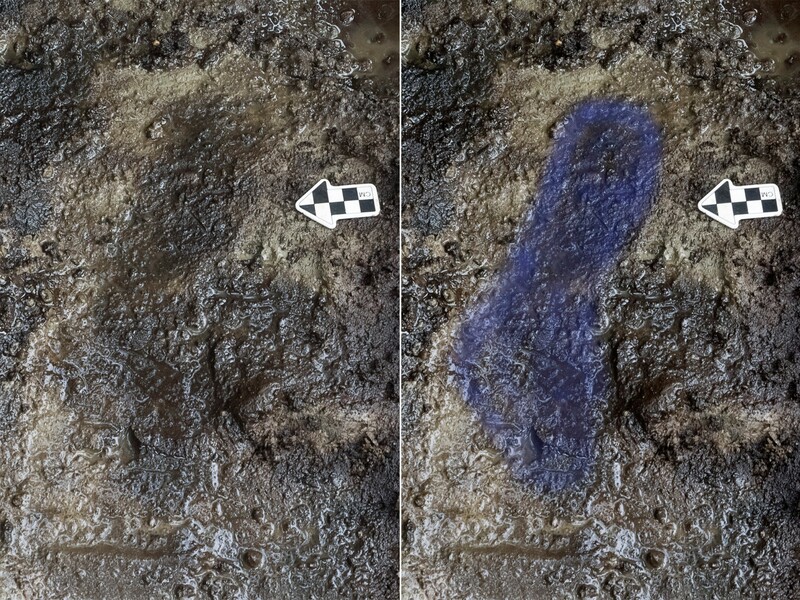 We want to announce a special edition of Vegetation History and Archaeobotany containing the results (a series of papers) of part of the SNF project (Understanding human occupation in later prehistoric Europe) also linked to the Luokesa site in Lithuania.